Allen Broadbelt, Dwight ‘Dada’ Dore and Jeanette Neil have been charged with participating in an on-going crime spree in which dozens of homes and businesses were burglarized. 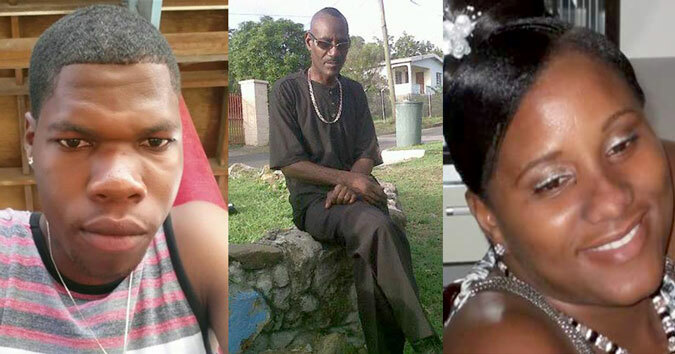 The Royal St. Kitts and Nevis Police Force has charged the trio with a long string of thefts. Neil, a Hamilton resident, was implicated in the burglaries and apprehended on May 16 by the Royal St. Kitts and Nevis Police Force. She wascharged with the April 12 or 13 burglary of the SuperFoods Supermarket in Charlestown. Neil was arrested on a Warrant in the First Instance for Building-Breaking and Larceny. During the supermarket break-in an outdoor security camera was smashed; security cameras inside the establishment were stolen; and a video recorder was broken. A large amount of food items and alcohol were stolen.Three batteries were taken from supermarket vans in the parking lot. SuperFoods is less than 800 yards from the Charlestown Police Station. May 13-14, police handed Neil a third charge, the First Instance for the offence of House-Breaking and Larceny committed at Farms Estate between Oct. 4 and 10, 2015. She was released on $20,000 bail. April 29, Neil was arrested and charged with receiving stolen goods. She was released on bail. May 2, Broadbelt was charged with a string of thefts, some from when he was a juvenile. April 28, police served search warrants at Broadbelt’s residence in Bath Village and Neil’s residence Hamilton. They discovered stolen alcohol, furniture, tools, tiles, an installed door, air conditioning units and food that were allegedly stolen. July 19-20, 2014, Farms Estate Nevis, charged and cautioned; Oct. 6, 2015, Stoney Grove area of Nevis, charged; between Oct. 4-10, 2015 in Farms Estate, charged; between Oct. 10-24, 2015 in Nugent Height, charged; April 12 and 13, building- breaking and larceny charged; and on March 23-April 1, house-breaking and larceny charged. Broadbelt has been remanded to Her Majesty’s Prison. Dwight ‘Dada’ Dore has been charged with Broadbelt for house-breaking and larceny in Oct. 10 to 24 in Nugent Height. Dore and Neil were released on bail. Other charges could be handed to the trio as robbery victims come forward to identify and claim their stolen items at the Charlestown Police Station.